Couture fashion designer Jackie Rogers presented her 2016 collection for all seasons at a private residence in Southampton, NY. Guests viewed the latest from the Jackie Rogers Collection including dresses, jackets and separates. Pieces from the collection were on sale, and 20% of proceeds from this presentation were donated to the Southampton Fresh Air Home. The Home is a residential camp for physically challenged youth offering summer and year-round programs focused on recreation, education and independence. Jackie Rogers is well known for her timeless collections, which comprises looks ready-to-wear for all seasons. Each piece embodies the perfect balance between classic style and modern trends which makes the Jackie Rogers Collection current, and flexible for styling throughout the year. Luxurious designs constructed by the iconic Jackie Rogers included printed brocades, pleated dresses and elegant duster coats. Jewel looked stunning at the Comedy Central Roast of Rob Lowe at Sony Studios in Los Angeles, California the other day. Film Legend Ralph Macchio also roasted his old friend. 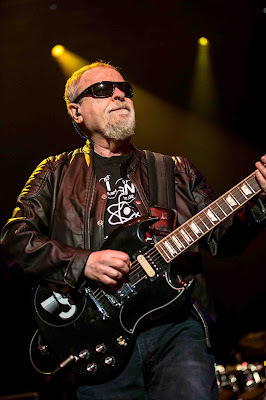 Blue Oyster Cult performed at Psycho Las Vegas at The Joint at Hard Rock Hotel & Casino in Las Vegas, Nevada the other night. THE PREMIERE FOR FX'S YOU'RE THE WORST IN L.A.
Mikey Madison and Aya Cash looked stunning and in fashion at the premiere of FX's 'You're the Worst' at Neuehouse in Los Angeles, California the other evening. 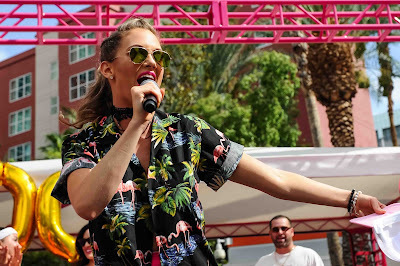 Nicole Arbour hosted the Strip's Biggest Champagne Shower at GO Pool at the Flamingo Las Vegas in Las Vegas, Nevada. 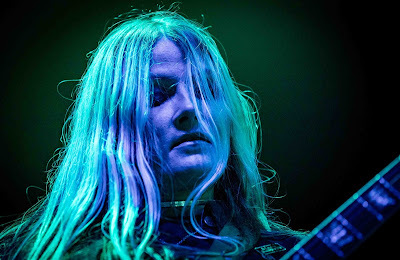 Electric Wizard performed at Psycho Las Vegas at The Joint at the famed Hard Rock Hotel & Casino in Las Vegas, Nevada. 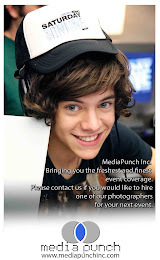 Of course Sin City's number one photographer Erik Kabik got this great shot! 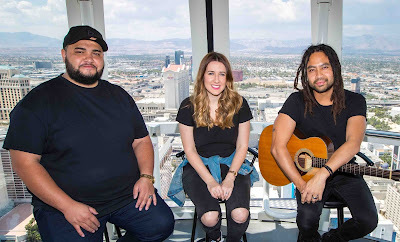 Hillsong Worship performed a private set of music for fans on the The Worlds Tallest Observation Wheel, The High Roller at The Linq Promenade in Las Vegas, Nevada the other day. The Michael Bolton Charities held “An Evening Under the Stars” fundraising dinner and auction in Bridgehampton, NY recently. This year’s honorees, receiving the Michael Bolton Lifetime Achievement Award, were Joe and Ali Torre of The Joe Torre Safe At Home Foundation for their commitment to ending domestic violence. The intimate evening, benefitting The Michael Bolton Charities, was produced by celebrity event planner Larry Scott of Lawrence Scott Events. Not only did the talented Larry Scott produce the enchanting evening, but he donated the décor and services for the private fundraising event. The tent space was reminiscent of a starry night sky as crystals hanging from standing chandeliers, on the buffet table, glittered in the blue-hued lights. Metal lamps and white urns decorated each table, next to small white plants adding to the elegant ambiance of the evening. Olympian Simone Biles wore Sherri Hill to this Sunday's VMA's. She looked stunning and in fashion. 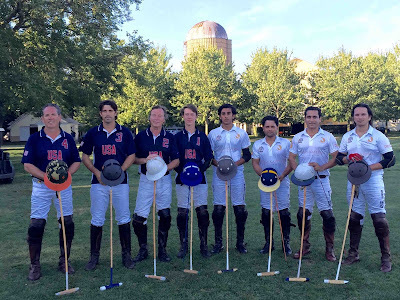 The Maharaja of Jaipur and the Royal Jaipur Polo Team, sponsored by Sanjay Kasliwal Jewelers, played in Southampton against a select USA team consisting of Joe Meyer, Nacho Figueras, Bruce Colley and Davis Colley. The exciting match was the end to a 10 day polo tour which began in Santa Barbara, California, continued to Pine Plains, New York, and ended in beautiful Southampton, New York. The Royal Jaipur team consisted of the Maharaja of Jaipur, Abby Patek, Ransher Singh and Fateh Singh. The East Hampton Library hosted their Authors Night recently, with proceeds going to the advancement of the library. The premiere literary event brought together 100 distinguished authors with over 2,500 book lovers on the Maidstone Lane field in the East Hampton Village. Prominent philanthropist and author, Jean Shafiroff, was present to sign her debut book, Successful Philanthropy: How to Make a Life by What You Give – a guide to modern philanthropy. Successful Philanthropy: How to Make a Life by What You Give was written by Jean Shafiroff and published by Hatherleigh Press, Ltd. in 2016, and serves as a practical guide for both aspiring and seasoned philanthropist. It features an introduction from Georgina Bloomberg, the daughter of former New York City Mayor Michael Bloomberg. Ronald O. Perelman hosted The Apollo Theater’s 7th Annual Apollo in the Hamptons benefit on Saturday, August 20th at his residence in The Creeks of East Hampton, NY. The star-studded event included special performances by Lionel Ritchie, Jon Bon Jovi, The Roots, Joe Walsh, Pharrell Williams, Gwen Stefani – featuring a duet with Blake Shelton, Usher, Ciara and Kimberly Nichole of The Voice. Political figures, celebrities and Hamptons socialites enjoyed the spectacular evening of dinner and dancing in support of The Apollo Theater in Harlem, NY. Luxury Mexican resort Mayakoba Residences’ Managing Director Carlos Orozco hosted a private dinner party recently featuring an extravagant La Ceiba Dinner and a special tasting of ultra-premium tequila Clase Azul. The sumptuous dinner was prepared by Executive Chef of the award-winning Rosewood Mayakoba, Juan Pablo Loza, along with Union Cantina’s Executive Chef Scott Kampf. Guests were treated to an extraordinary 8 course authentic Mayan tasting menu, replicating a dining experience that is exclusive to guests of Rosewood Mayakoba resort, located in the idyllic Riviera Maya. The event was coordinated by the leading Sroka Worldwide marketing team, headed by industry veteran and company founder Neal Sroka. South Street Seaport Museum announces its Free-Fridays Program on August 26, September 30, & October 28, 2016 from 3pm-7pm. Join them on the last Friday of every month through October for Free Fridays at the Seaport Museum. Between the hours of 3pm and 7pm the Seaport Museum will offer free admission to its exhibition Street of Ships: The Port and its People, as well as thematic educational and programmatic activities including special tours, artisan demonstrations, talks and lectures, and hands-on activities for the whole family. Reservations are required and can be made online at https://southstreetseaportmuseum.org/free-fridays. Michael Phelps has addressed Ryan Lochte's involvement in the Rio robbery scandal, but has he spoken to his USA teammate since leaving the Olympics? E! 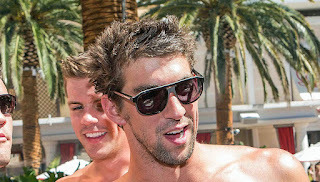 News has the exclusive video of Phelps speaking out about the incident for the first time. "I haven't spoken to him at all," the 31-year-old swimmer said when asked if he's heard from Lochte after Rio. As for whether he thinks the controversy will work itself out, Phelps said, "We have good people taking care of it, so hopefully." Phelps arrived back on American soil Wednesday morning, just days after Lochte and three other Team USA swimmers became the focus of the alleged robbery. He was spotted leaving a Scottsdale, Ariz., Starbucks when he addressed the news. Despite the rough couple of days for the US swim team, an on-looker tells us Phelps seemed relaxed during his coffee run, stopping to thank fans as they congratulated him on his athletic performance at the Summer Games in Brazil. 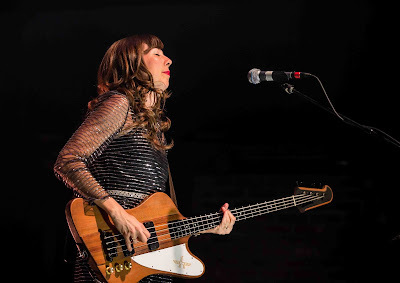 Silversun Pickups perfored at the Brooklyn Bowl at The Linq in Las Vegas, Nevada over the weekend. 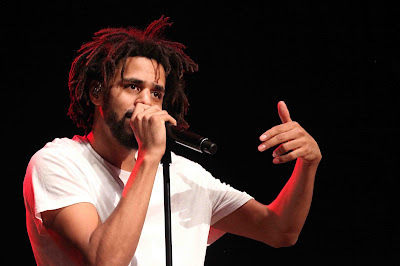 Timeflies and J. Cole perfomed live at the 2016 Billboard Hot 100 Music Festival at Nikon at Jones Beach Theater yesterday in Wantagh, New York. 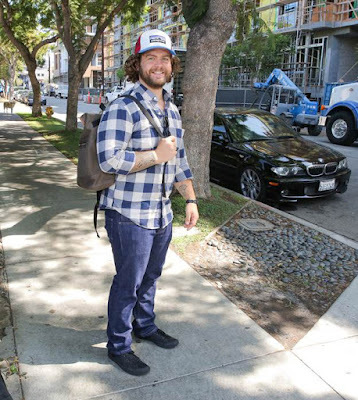 Recently in Los Angeles, Jack Osbourne, best known for his appearance on the reality show The Osbournes, was spotted wearing a STATE bags backpack, as he gets ready for back to school season with his two kids. Jack can be seen wearing the Smith - Red Hook in Olive. The MOMS Denise Albert and Melissa Musen Gerstein along with New York Family Magazine hosted a Cover Party and a Back To School Special on SiriusXM on Tuesday, August 16th, 2016. The event was sponsored by: America's number one Greek yogurt Chobani Greek Yogurt, the world's largest submarine sandwich chain Subway, global underwear and casualwear company Fruit of the Loom, children’s clothing and community giving company Kidbox and interactive music program Baby DJ School. Attendees included: Denise Albert, Melissa Musen Gerstein, Eric Messinger, Tierney Model, Megan Flynn, Larry Kruysman, Liz Monti, Casey Drake and Mia Weber. 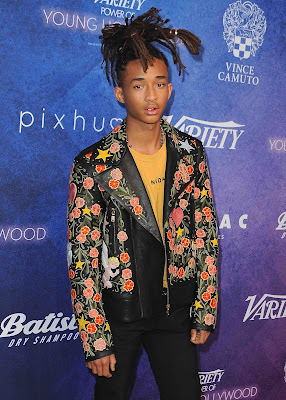 Jaden Smith was total fashion at the Variety Power of Young Hollywood Event at Neuehouse Hollywood the other day in Los Angeles, California. Leigh Lezark along with Nina Agdal and Shanina Shaik were snapped arriving to 'Turn Up The Heat With W Dubai In NYC' event at Glasshouses yesterday in New York City.